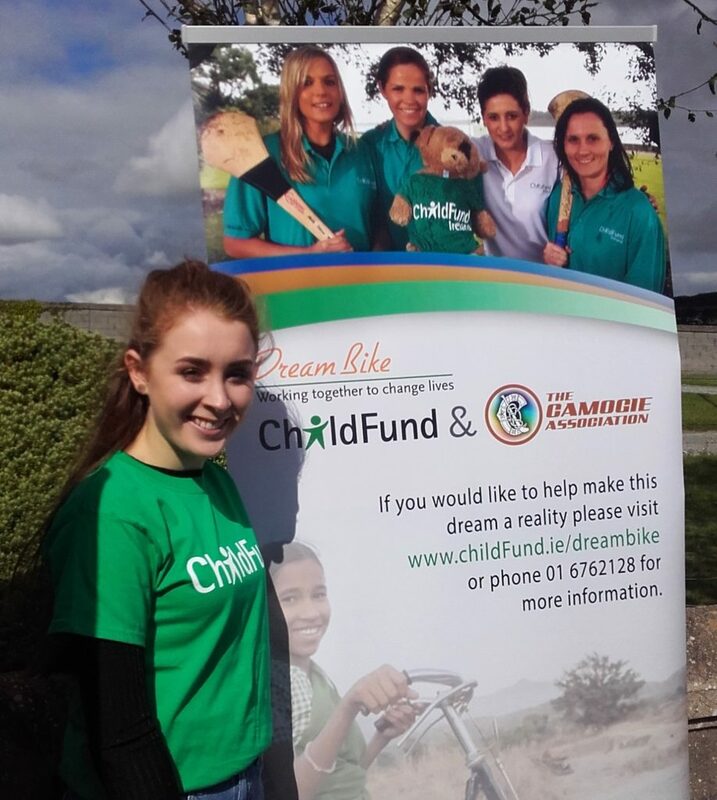 Sarah was inspired to raise money for ChildFund having watched RTE’s Nationwide Ethiopia Special featuring our ambassadors Ann Cassin, Aoife Murray, and of course the inimitable Mags D’Arcy, a bona fide sporting icon in Wexford, rightly admired for her numerous achievements, and a huge role model for girls and young women in particular. How fitting then that Mags will be on hand to receive a fundraising cheque for €844 – the product of all Sarah’s hard work and determination. Mags and our Chief Executive Officer Michael Kiely will be visiting Loreto in Wexford on Tuesday 5th December to thank Sarah in person and acknowledge her fantastic effort. Sarah hopes to carve out a career as a primary school teacher. Access to education and giving young women the means to determine their own future is something close to her heart. The money she has helped to raise will provide more bikes to girls in the developing world, enabling them to get to school regularly, avoiding exhausting walks of many kilometres on foot each day, and helping to provide them with the kind of access to education that we in the more developed parts of the world take for granted, and which every girl deserves. Sarah, and those who have supported her campaign, including Irish Ferries who graciously donated vouchers for the raffle, can feel hugely proud of themselves. Their act of generosity and solidarity will have positive ripple effects that are likely to resound well into the future for the vulnerable girls they have helped to assist. We would like to once again thank Sarah Moran, everyone who supported the raffle, Irish Ferries for getting behind it, and all the staff and pupils (and parents) at Loreto Wexford for facilitating this most worthy fundraising initiative. We would also like to thank Mags D’Acry for once again taking time out of her busy schedule to help support our Dream Bike campaign, something that she is passionate about and which is close to her heart. 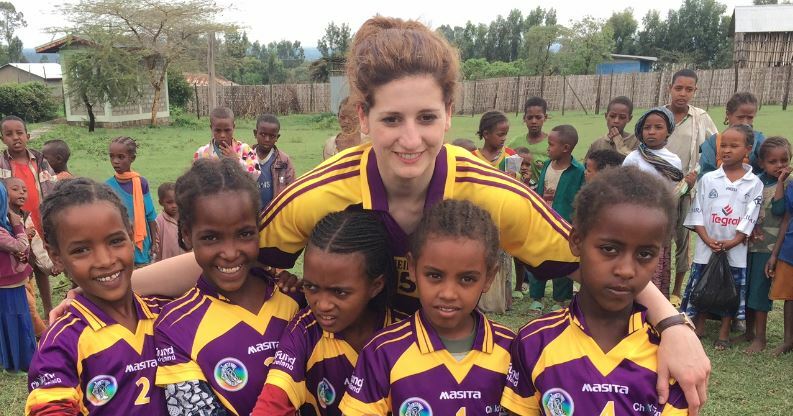 Mags D’Arcy with some budding camogie stars on her 2016 visit to Ethiopia with ChildFund to mark the handover of the first batch of ‘Dream Bikes’. Finally, It would be remiss of us if we failed to mention the historic achievement of St Martins (Camogie) Club Wexford, Mag’s hometown club, founded by her own grandfather no less!, who recently won the country final for the very first time. Hearty congratulations to St Martin’s from everyone at ChildFund on this fantastic achievement.